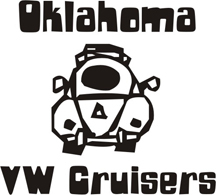 Oklahoma Vw Cruisers • Everyone surviving the snow? i was stuck xmas day and sat at home. Not too bad i guess. Re: Everyone surviving the snow? My other car's a 4WD Trooper, no worries here. We've been all over the place since Christmas Eve. Let the air down in the tires a bit, and the baja crawled right though the snow and ice.